If you love Whoopie Pies, then you are in for a huge treat. 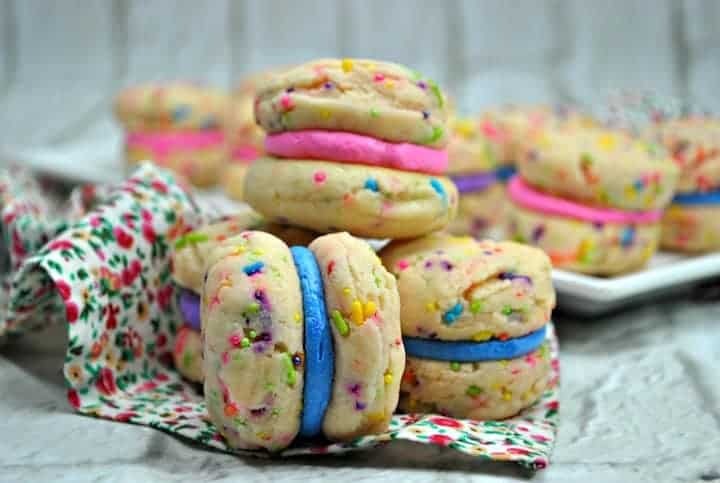 These Funfetti Whoopie Pies bring a whole rainbow of colors and sprinkles to the traditional whoopie pie recipe! Some may call them Unicorn Whoopie Pies or Rainbow Whoopie Pies, but I just call them delicious! Cake-like sandwich cookies filled with cream – Count me in! What’s better than a sweet treat to brighten your day? 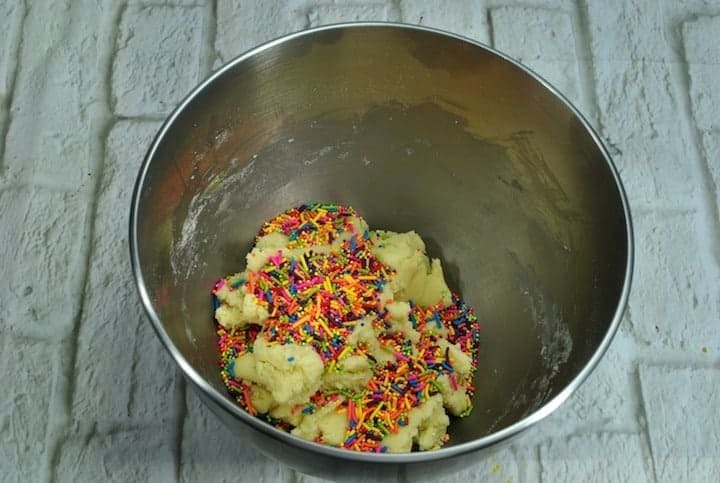 I will tell you what a sweet treat that looks like a rainbow and has sprinkles! These Funfetti Whoopie pies takes unicorn desserts to the next level! What’s even better is that they are really easy to make! This recipe uses a boxed cake mix to give it the cake-like taste (doesn’t hurt that is makes it a super easy recipe! On a cold winter day, I am always looking for something to brighten up the moods of my kids. I find that a dessert can typically do that. They love coming home from school and smelling something yummy when they walk through the door. 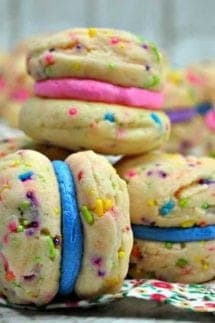 But imagine your kids excitement when they see these bright, rainbow colored Funfetti Whoopie Pies cooling on the counter! Looking to go with the more traditional whoopie pie? Well, these Homemade Oreo Cookies will probably remind you of the whoopie pies of yesteryear! Cake-like cookies filled with lucious cream filling, this nostglic treat was said to get it’s name from them the shouts of delight that kids would make when they found them in their lunch boxes during school! These delicious treats are also great for a rainbow themed or unicorn themed birthday party. Your guests will love them! Pair them with a scoop of ice cream and pop a candle in one and you are good to go! Need some additional treats for your unicorn party? We love this easy to make Unicorn Bark. 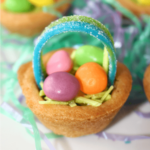 Or check out all of our Rainbow treat ideas! A Whoopie pie is more like a cake, rather than a cookie or pie. 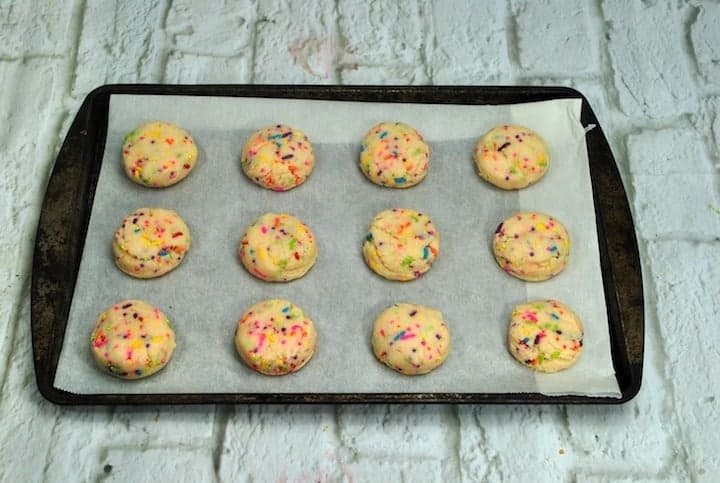 Our funfetti whoopie pie recipe can be made on a regular baking sheet, but if you want the perfect size and shape whoopie pie, you may want to check out this whoopie pie pan (affiliate link). Some other useful items that you will want to have on hand are an ice cream scoop and 3 disposable piping bags for the frosting. These Funfetti Whoopie Pies bring a whole rainbow of colors and sprinkles to the traditional whoopie pie recipe! Some may call them Unicorn Whoopie Pies or Rainbow Whoopie Pies, but I just call them delicious! 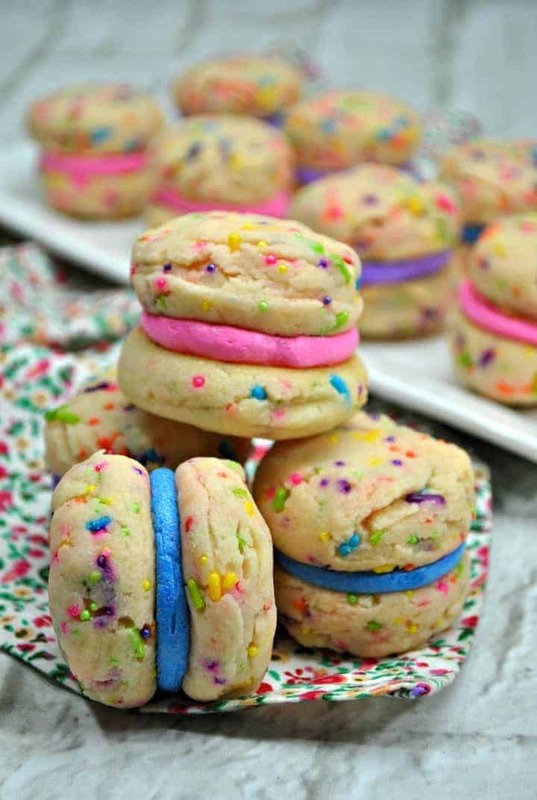 Cake-like sandwich cookies filled with cream - Count me in! Using the mixer, combine all ingredient except the food gel. Split the frosting into 3 bowls and add a few drops of the food coloring into a bowl each. Mix the frosting until the color is completely mixed. Using the bottom of one cookie, pipe a small dollop of frosting on the flat side, sandwich the cookies and enjoy! 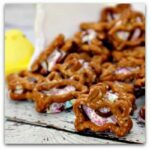 Copycat Little Debbie Cosmic Brownies – Just like the lunch lady used to serve, or the store bought Little Debbie version, these Cosmic Brownies are a nostalgic delicious treat that will have you reaching for seconds. Chocolate fudge deliciousness topped with mini M&M’s will bring a smile to everyone’s face! Fruity Pebble Cheesecake Bars – They are not only fun to eat…they’re easy to make with only 6 simple ingredients! 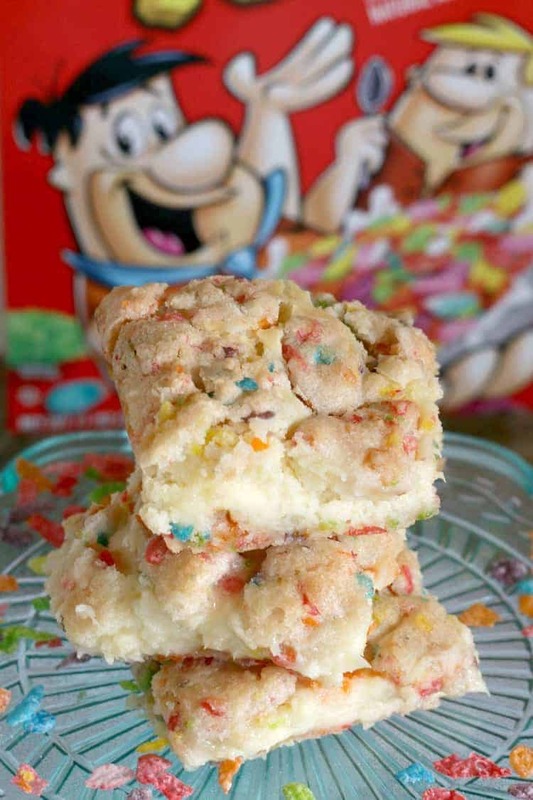 This ooey-gooey delight is made with a soft, chewy sugar cookie dough that’s LOADED with Fruity Pebbles and has a creamy, delicious cream cheese center.